The dollar was higher on Friday against most major pairs. The greenback gained the most against the EUR as disappointing PMI surveys and the uncertain future of the Brexit deal ahead of the weekend took its toll on the single currency. Oil prices tumbled as fears of oversupply put losses at more than 11 percent despite the best efforts of the Organization of the Petroleum Exporting Countries (OPEC) to once again stop the decline with a probable production cut agreement. 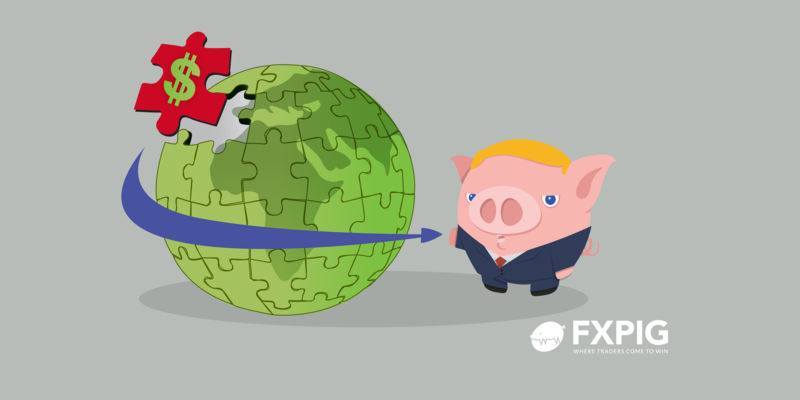 Global growth concerns are reducing expectations of energy demand with the trade war between the US and China a growing concern ahead of the G20 meeting in Argentina later this month. The GBP/USD fell 0.55 percent on Friday. The currency pair is trading at 1.2804 against the US dollar as the Brexit deal is facing pressure from both sides. British PM Theresa May still has to push through the agreement in parliament, with shrinking possibilities of success. On the other hand Spanish negotiators left the Gibraltar issue until last minute and is another obstacle that could derail a deal being reached between the EU and the UK. European Leaders remain optimistic about reaching an agreement over the weekend, but things look harder in the UK parliament. The March 29 deadline approaches, and if an agreement is not reached the no-deal exit will be a reality. Theresa May is saying that holding out for a better deal is not ideal, as she continues to endorse the current deal on the table. Brexit headlines will guide the pair as investors try to quantify the most likely outcome and its impact on the final exit from the European Union. If a deal is rejected by UK parliament at this stage, it won’t be the end but it will mean an amendment if possible would have to be presented in February. The Canadian dollar is lower against the US dollar on Friday. The fall of oil prices and the tepid growth of retail sales combined with the safe haven appeal of the big dollar ahead of the weekend put the loonie in a tough spot. Canada’s CPI showed an unexpected 0.3 percent gain, keeping the inflation rate above the 2 percent target of the Bank of Canada (BoC). Markets forecast a 23 percent probability of a rate hike, as other factors will keep the central bank from pulling the trigger on higher interest rates. Oil prices continue to tumble as oversupply concerns are far outweighing any possible production output deal by the OPEC and other major producers. Trade concerns are boosting the US dollar as protectionist measures are more likely to be scaled up than down. The USMCA agreement shields Canada from trade uncertainty, but does not make the loonie immune to the greenback rising on risk aversion flows. Oil continues to drop on Friday. West Texas Intermediate is down 6.59 percent and Brent 5.75 percent and both clocking in loses near or above 10 percent on a weekly basis. Investors were anticipating a bigger disruption from US sanctions against Iranian exports, but as waivers appeared and at the same time the Trump administration pressured the OPEC to keep prices low, oversupply fears have risen. Bearish sentiment has driven crude prices lower with both WTI and Brent losing more than 20 percent this month. Trade concerns as the US-China trade dispute is heading for a showdown in Buenos Aires have hit global growth forecasts impacting energy demand expectations. The leaders of the US and China will meet ahead of the overarching G20 meeting in Argentina. There have been some optimistic comments last week, but the latest official statements signal the two sides are still far apart. The lack of a unified statement at the end of the APEC summit, attended by both the US and China, set a grim forecast for the G20 meeting. The OPEC is expected to once again agree to limit production to add stability to falling oil prices. This time around the other major producers are not as onside as they were in the past with Russia not ready to commit until more data is available. WTI is slightly above the $50 price and will test it to the downside if trade and oversupply concerns continue. Gold is lower on Friday as the US dollar is back from the Thanksgiving holiday gaining against most major pairs. Trade concerns have increased as the APEC summit once again highlighted how far apart the US and China are on trade. Oil prices suffered the most form the strength of the dollar, in comparison the yellow metal will remain attractive due to geopolitical risk ahead of a busy week. British PM Theresa May is trying to push through parliament a Brexit deal as she faces mounting obstacles. Trade disputes are on the rise as the end of the APEC highlighted that protectionist measures are here to stay. Gold is also under pressure as despite some US fundamental hiccups the dollar remains supported by the U.S. Federal Reserve. The minutes of the latest FOMC meeting will be published and investors will be looking for clues on what the central bank has in mind for 2019. The December FOMC meeting is expected to conclude with a 25 basis rate hike, Fed funds futures point to a 74.1 percent probability, but some dovish comments from Fed members have raised questions on how much more interest lifts are needed to reach a neutral rate. Gold remains a safe haven destination, but for the time being market conditions favor the US dollar due to trade concerns and central bank expectations.